Bundan 7 yıl önce yazılmış bir mektubu sizlerle paylaşmak istedim. Robin Williams’ın toprağı bol olsun. Being a local convivium leader of Slow Food, a global foundation concerned on biodiversity, small farmers, traditional food cultures and connecting thousands all over the world ( www.slowfood.com), I am pleased to hear about your restaurant that serves for fine local food and distinguished wines. 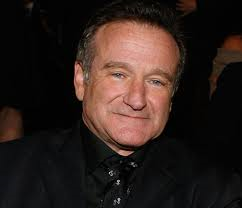 I am also very pleased to see that Mr. Robin Williams is among the team that developed the idea of your restaurant. The second president to Slow Food is now Ms. Alice Waters. She did a great job with “Edible Schoolyard” project (*) beside her fine restaurant, Chez Panisse at Berkeley. Surprisingly, her restaurant is very close to your restaurant (referred to Google Earth; around 12 miles – attached file). (*): For her efforts in establishing the Edible Schoolyard, Alice Waters was one of ten people in the nation awarded the John Stanford Education Heroes Award by U.S. Secretary of Education Richard Riley in 1999. Slow Food International made the fifth congress last month at Puebla / Mexico with 600 delegates. Being one of the participants, I had chance to witness an outstanding meeting of people caring for future of the world; especially local cultures, traditional knowledge and importance of local food for next generations of humanity. and on the film, I dream to see Mr Robin Williams as narrator of a tale based upon these issues. Before details, the essential is that the film will be simple to understand, hearth touching for all and will be a very first step for a global awareness that will let put hands of producers (small farmers) and consumers (co-producers, as Slow Food defines) together. I believe Mr Williams is among very few on the earth that could tell this story to all humanity, helping to share common (untold) feelings of billions. The film needs good heart, good energy and hope. I will be very pleased if you may help me to contact Mr Williams. And so, I will be able to detail the film, vision and discuss the production plan of “Smart & Sinful”.